Nice follow up on my mumbling from the lab meeting! Would it be good to use “hours in the water” and “hours in the car” as a more approriate measure for comparison? Yes that would be ideal! If only we had data on total hours spent by people in the ocean. That would be an even more appropriate denominator. @scott. This is a good point. It is indeed possible that the number of beach visits is severly underreported. I believe that NOAA’s methodology is to randomly survey people at several selected beaches and then use a model to extrapolate the number to the whole US. If beach visits are under-reported, the risk of a fatal shark attack could be much lower than I calculate here (and the number reported here is already extremely low, 1 in 110,000,000 beach visits). I really want to emphasize again that the risk reported here is extremely low, I can’t say this enough. But the risk of getting in a fatal car accident, if you drive one time, less than a mile, is extremely low as well. If the surfer in your example drives to work, (the average commute is probably around 10 miles), that means even if a surfer goes to the beach every single day, she is over 25 times more likely to die in a car accident than in the jaws of a shark (and that’s someone who surfs everyday!). I had an interesting conversation with a friend who said that this post might get misinterpereted in the opposite direction, where people read this and start thinking shark attacks are common. My friend pointed out that there is this commonly thrown out statistic that 50% of all car accidents happen within 5 miles of home. While this is true this is a rediculously misleading statistic (probably more so than the raw numbers of shark attacks, all it really says is you can get in an accident anywhere, and that obviously people who drive spend a lot of that time within 5 miles of their home). But because people translate this into “I have a high probability of getting into a fatal crash if I drive half a mile to my friend down the street”, which is flat out false … perhaps the narative I tell above is actually worse than reporting the raw numbers. Context really matters … something we mathematicians often forget. I hope my post doesn’t get taken as “the chance of getting fatally attacked by a shark is high.” That is definitely wrong. Depends on how long you drive. If you drive 0.6 km to the beach (each way) you double your chance of dying. If you drive 60km to the beach your chance of dying goes up by a factor of 100! Probably best if we walk to the beach :). You cannot determine if it is safer to walk to the beach until you do the pedestrian death statistics. Good point! Let’s look at the stats, 42 billion miles worth of walking trips in the USA*, and there are approximately 5,376 fatalities. So 1.28 x 10^-7 deaths per mile walked. This means that walking 0.07 miles has the same risk of death as a shark attack from one beach visit. So your house would have to 60 meters away from the beach or less for the walk to be less dangerous. In other words, the walk from your car to the beach may often be more dangerous than dying from a shark attack. 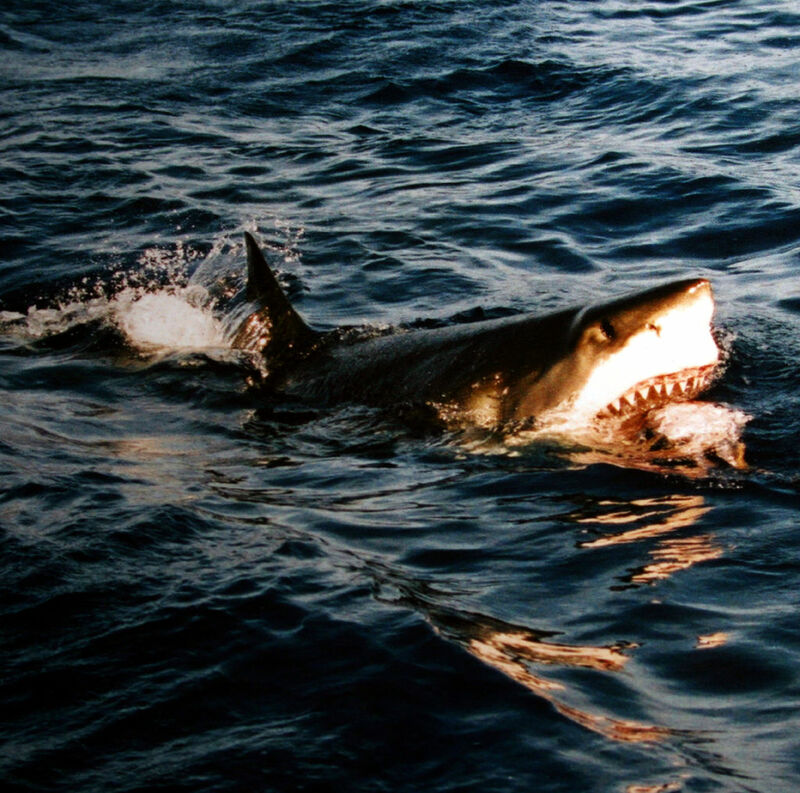 And consider how your risk goes up when you are surfing at an Australia beach frequented by sharks. There is no comfort in the general death statistic once you put yourself in that situation. Same with death stats for any risky activity. Once you engage in the activity (ice climbing, heli-skiing, sky-diving, abalone diving, Russian Roulette), you are at far greater risk of death than the average person is from that activity, since the average person doesn’t engage in that activity. Death by cannibal is a one-in-a-billion risk until you’re marooned on an island of cannibals.